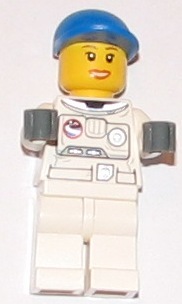 City Astronaut Three is a City Space minifigure. She is exclusive to the set 3368 Space Centre. Facts about "City Astronaut Three"
This page was last edited on 15 March 2016, at 18:56.